The Witcher 3 Hearts of Stone brings a new Geralt to the table – a not-so jagged beast hunter, but a more humane witcher. If you haven’t played the base Witcher 3, stop what you’re doing, read this review, and get the game NOW! It starts by introducing Geralt’s main antagonist Olgierd von Everec, who is one of the most alluring characters you’ll ever find in the game series. I might even go as far as saying that he conveys the archetype of a villain like no other. Well, at least from anything that CD Projekt RED has developed. 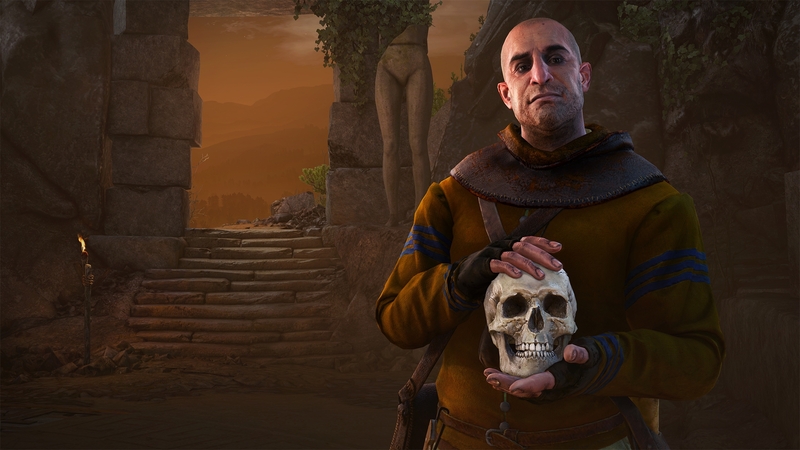 The Hearts of Stone DLC introduces Olgierd by displaying his skill of critiquing art, in this case a remarkable stone sculpture made by a well-known artist. His attention to detail is unparalleled and you immediately brand him as a medieval Hannibal Lecter, but without the taste for human flesh – as far as we know. Sliding deeper into the sociopath spectrum, after his insightful art rant, he tips the sculpture over and gazes at the process of it shattering into a million pieces. It’s not only a great introduction to the game’s main antagonist, but also a splash of cold water to the face, bringing you, the player, back to reality where vile beasts of the night aren’t the only monsters roaming the world. Gameplay-wise, Hearts of Stone comes with a refreshing new monster compendium. After 200 or so hours into The Wild Hunt, I got a little bit bored of fights and was more interested about scenery, crafting gear and how can I get rid of the plague that has consumed my beloved virtual world – which is GWENT, by the way. Arachnomorphs are one of the new enemy types. They are so much fun to fight, but they can be a little bit infuriating if you don’t remember that patience is key to success in The Witcher 3. These over-grown spiders have the manoeuvrability of Sonic on crack and they can keep Geralt at distance, webbing him from afar and attacking when they sense a weak point. Disable one, and his swarm-friends will jump to protect their kin. New game mechanics have been developed for boss fights also. 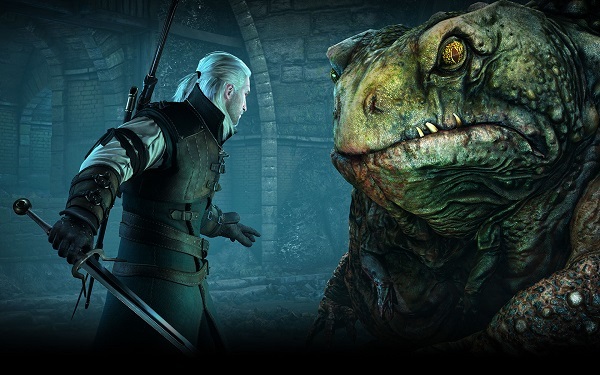 It’s fairly short, compared to the base game, but the 10-15 hour journey will introduce Geralt to a plethora of awesome combats – tornado breeding mages and venom-spitting toads are the least of your worries. With all of these new enemy types brought to life, I can honestly say that fights are far more interesting and intriguing than what I have encountered in The Wild Hunt. You don’t get new map zones to roam, Hearts of Stone has the exact same setting as the base game. However, it opens up a few kilometres to the north of Novigrad. That’s where you’ll mostly play – you get to explore new little towns and several new small-to-medium sized areas. Don’t go in expecting a complete overhaul, because you won’t find it. It’s just more of the same old thing – which I found quite pleasing. Side quests are gleefully fun and aplenty. Throughout my playthrough I contemplated if I was encountering new things to do, or old stuff that I didn’t get to experience the first time around. Hearts of Stone doesn’t feel rushed, like something made by a B-grade dev team. 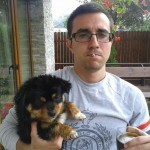 Instead, it evolves the base story by adding new ways for players to succumb deeper into the world created by Andrzej Sapkowski. Bridging players more into the world of The Witcher 3 is done with the help of excellent new stories, like the one started by the merchant Ofieri – a man in love with his homeland who never misses the opportunity to poetically praise it to anyone who listens. Ofieri also introduces brand new Runewords mechanics, which allows players to add strong and unique buffs to their armour and weapons by combining three runes. This actually changes the way you battle foes, as the rules change a bit. My reaction after seeing the Hearts of Stone launch trailer. One combination makes all of your equipped armour reckon as heavy, regardless if you wear only light gear. This is more than helpful, as it gives Geralt the School of the Bear passive even when he’s fashionably sporting a banquet attire. They are functional and effective and should be tinkered with by every Geralt. Moreover, the useless runes that you’ve been carrying from day one now have tremendous potential – you never know what weird combinations can unlock. In addition, Runewright gives the possibility to add sockets on any piece of weapon or armour that you fancy. Of course, at a cost. Gameplay mechanics are fun and all, but The Witcher 3 Hearts of Stone truly shines when you take a look at its story. Nostalgia will be all present as you encounter old pals who have moved further with their lives. Past lovers from the first Witcher title will make their presence felt – remember Shani? and new rivalries surface. Threading on the human aspect of the game, with more elements than speak close to the heart of every fan, Geralt will be put through new situations that nobody expected to experience via our beloved beast slayer – like trying to make an impromptu speech at a wedding, or concocting a heist plan with others. A worthy DLC for a distinguished game. The Witcher 3 Hearts of Stone is worth buying not only for its awesome new gameplay mechanics, but also for its gripping story filled with missed chances at love, the illusion of free will and, let’s all be honest to ourselves, the awesome feeling of chopping off body parts. Buy The Witcher 3 Hearts of Stone on Steam, or GOG. It costs $9.99. Tell us the comments section below how you liked The Witcher 3 Hearts of Stone DLC.